How can we avoid mindless eating? I think most of us are guilty at some time or another of mindless eating. We start picking on something like chips, cookies, or something easy to stuff in our mouth and forget to stop. So here are some tips to avoid mindless eating. There are many reason why we eat mindlessly. And most are not associated with being hungry. So here are some good tips to help us avoid mindless eating. Always portion out your food into a dish or container and put the rest of the package away. Don’t cook any more than you really want to have. Even if the amount left in the container is small, don’t cook more than a serving unless it’s veggies. Only keep healthy food out on the counter, foods like fruit, which will fill you up are best. Keep all trigger foods out of sight or out of the house altogether. Better not to buy them, than trying to have the will-power not to eat them. Remember out of sight, out of mind. 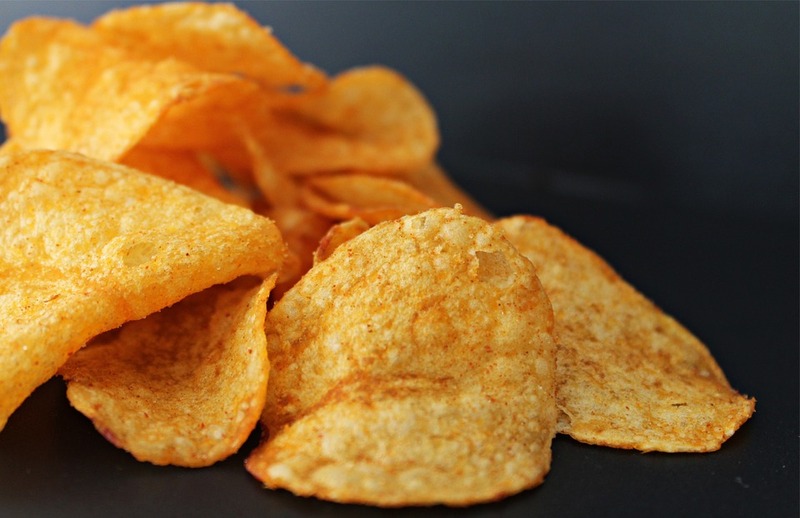 Buy high calorie snacks for special occasions only. If they are around, it’s too easy to eat them. Or give them away when the party is over. I always give them to my neighbor who has 2 grandchildren, so I know they are not wasted. Only eat sitting down. It’s too easy to stuff yourself before you realize how much you have eaten without enjoying it. Have a designated place for meals that you use all the time. Sitting down and being aware of what you are eating will make you mindful of how much you have consumed. 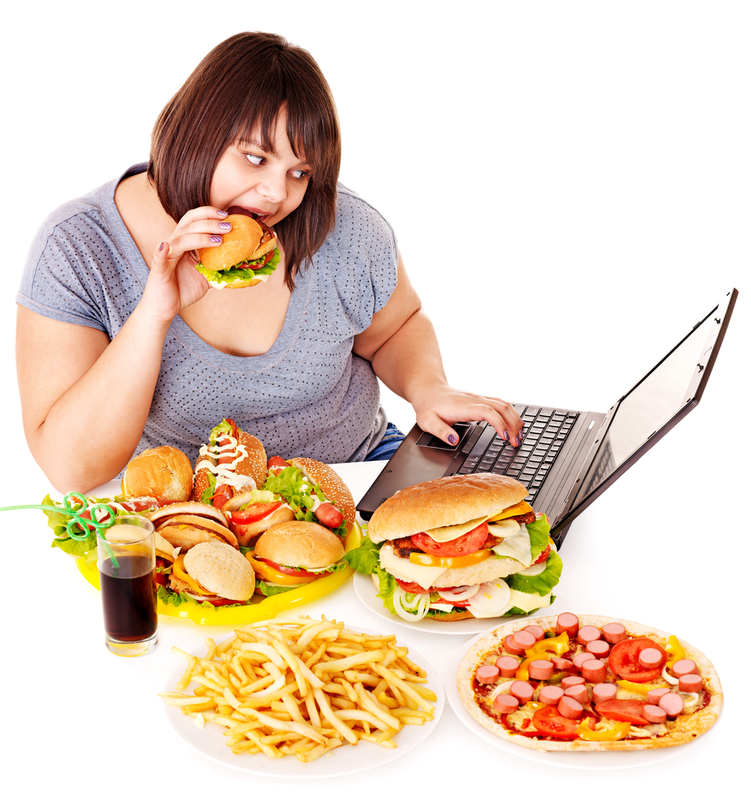 Never, never eat while watching T V or working on the computer, you need to be aware of everything you are eating . Eat only when hungry. Keep checking mentally to see if you are eating because you are hungry or eating for emotional reasons, which there are many or just because it’s there. Limit yourself to 3 meals a day. No picking in between. Don’t be a grazer. Before you pick up that cookie or bag of chips, get up and do something beneficial, like taking a walk with the dog or getting on the treadmill. If you don’t have a dog, go anyway. For one week, try putting your fork down in between bites or eat with the other hand. It will make you very aware of your eating habits. Be aware, ask yourself are you really hungry or are you just eating to do something. Do you really need that cupcake or ice cream. Just say NO. Don’t make excuses or procrastinate. Stop when your brain says you are not hungry anymore. It takes the brain about 20 minutes to signal when you are full, so that’s a very good reason to eat slowly and savor your food. Drink a glass of water 10-15 minutes before you eat. It will fill you up and help with your hunger. Keep a journal. Write down everything (every morsel). This will make you more aware of your eating patterns and how much food you really consume in a day. Try to incorporate some form of exercise into your schedule, even if it’s just a small amount, it’s a start. You have to start somewhere and you will feel better about yourself. Don’t feel you have to clean your plate, if you are full, throw the rest away or refrigerate it until tomorrow. Hopefully these tips will help you reach your ideal weight and improved health.